In an attempt to help people find their lost items, Reveal Labs is launching the Tile. The Tile is a small piece of hardware that can be attached to our most important objects. It houses a low powered Bluetooth antenna to allow users to find their objects through the dedicated iOS app. The concept is simple: attach the device to your keys and when you lose sight of them just open the iPhone app and you will see a proximity radar that works when you are within 100 feet of the object. This range makes it ideal for those frustrating times when you lose your keys under the couch pillows or when they mysteriously appear under the bed. What’s interesting about the Tile is that it will use the network of existing Tile users to find missing objects from other users. Whenever you mark one of your Tiles as lost the app will send a request to the whole Tile community to find that object. The users themselves don’t know their phone is looking for your Tile, but as soon as they enter the range of your Tile their phone will pass that information to you – without them ever knowing they helped you find your items! The company was funded with 200.000€ in seed capital last February and launched a crowdfunding campaign with the goal of 20.000€ that oversubscribed in the first eight hours. Users have now pledged over 120.000€ in Tile pre-orders which confirms the potential for such a device, and signals the success of a crowdsourcing implementation to find small objects. Demand has been so high that the company recently announced an expansion for some international regions. That’s good news for us in the old continent as France will be one of the shipping countries for early backers. The need to find our small objects is real, and has been around at least since the introduction of the TV remote. The Tile is certainly not the first player to try to address this need. Amazon pages are flooded with electronic key finders, some use RF technology and others use Bluetooth. What is common among these finders is that they only work in a small distance range. The Tile solves that limitation by using the power of crowdsourcing to expand the potential finding range. But of course, the usefulness of the Tile comes from its network size. User reach should be the first priority for the company right now, and at $25 for each Tile it is not really an “inexpensive” solution – at least not enough for instant market adoption. We should soon expect new comers to this market, testing different business models. As for now there is already something similar called Button Trackr from Phone Halo. The concept is similar and they also use crowdsourcing to find lost devices, they are also running a crowdfunding campaign that is arguably more successful than Tile’s campaign, so far they have raised over $350.000 that sharply contrasts with their initial goal of $15.000, nonetheless the Tile strikes the eye with a much more polished look and feel. 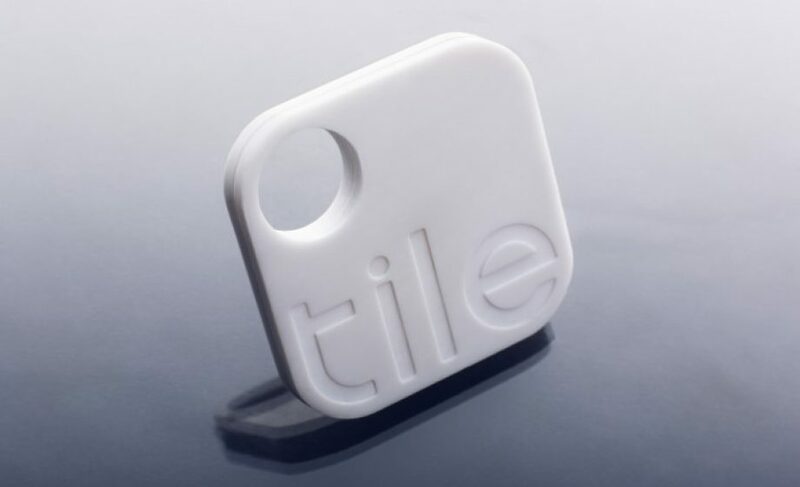 The Tile is a step closer towards the internet of things. So far, they are only introducing a very limiting (and somewhat expensive) product, and still market response has been tremendous. What the company really needs is to attract users, not necessarily to sell Tiles since they only need each user to buy one Tile to install the iOS app and become a “walking detector”. Given that the network doesn’t yet exist, it’s clear that people are buying the Tile for the “getting warmer” feature which is nothing more than a polished implementation of previous products. So we can imagine that as soon as the density of users increases, the company can really market the power of their network and reach a much broader audience. I don’t think I would buy the Tile for anything else than my car keys. Can you imagine how horrible the Tile will look attached to your laptop or your tablet? Besides, if a laptop is left in the wild, it wouldn’t take long for “someone” to find it, at the same time it’s not something so small you would lose at home. Nonetheless, I believe they have the potential of changing their model as soon as they develop their user network as a core asset. I would be very tempted to buy a product that had the Tile technology incorporated – like an expensive briefcase with a Tile sewn into it. Tile is really only useful for items within its 150 feet user range. For GPS to even be relevant, a use would have to have a GPS enabled smartphone with the Tile app active. Even in NYC, the odds of that happening are slim. What is odd about that? Everyone i know has GPS enabled smartphones. Not many have the tile app, but that doesnt matter because if t hey purchase this product they will have the app. Your post confused me and just wanted to respond. Not sure why it’s confusing. i’m saying you’d have to have near 100% market penetration for crowd-sourced tracking to work. Think about what has to happen for a lost item to be located … (1) a GPS enabled (2) Bluetooth enabled–Bluetooth is often turned off to save battery life–phone (3) with the title app installed (4) and active–another battery killer (5) must be within range of your lost item. Most people won’t keep tile app open and active, rendering the crowd-sourcing function useless. Further, TILE as a product is not new–two other companies have products that do the same thing, Tile’s just has the best marketing video. Hi Mark Which companies offer a similar solution? I agree with you that the concept has its challenges, but I am sure there is ways to solve this in the long run. Oftentimes there’s a bit of extra space inside a laptop, instead of outside, why not open it up and place it inside? Why not make an SD-card-slot compatible version? It wouldn’t attract attention as much, then it’s still removable and not as ‘in the way’. I agree about the latter. It would be almost priceless to be able to find certain dear object back. My stolen motorcycle for example, that had great financial, but even more sentimental value to me. However, they’d need to expand the ‘one year’ battery time though, especially if you have a bunch of them in your bigger objects like your car, motorcycle, laptop this should not be a ‘size problem’. Where are my tiles? Ordered 9/4/13? Yeah ordered around the same time, im still waiting!! Cool product & very good marketing. Not sure of the advertised “network effect” however.